The Sponge tool in Photoshop Elements 11 soaks up or squeezes out color. It can reduce the richness or intensity (or saturation) of a color in applied areas. It can also perform the reverse, giving a specific area richer, more vibrant colors. Surprisingly, the Sponge tool also works in grayscale mode by darkening or lightening the pixels. Unlike the Hue/Saturation command (under Enhance→Adjust Color), which works only on layers or selections, you can use the Sponge tool on any area that you can paint with a brush. You can use the Sponge tool on an image in subtle ways to reduce the saturation in selected areas for an interesting effect. For example, you may have an object that’s the center of attention in your picture simply because the colors are very bright. The Sponge tool lets you reduce the color saturation of that area (and only that area) to allow another section of your image to become the focal point. You can also use the Sponge tool to make an artistic statement: You could reduce or increase the saturation of a single person in a group shot to give that person more attention (perhaps as being more colorful than the rest). In the Photo Editor, in Expert mode, open an image and select the Sponge tool from the Tools panel. Press the O key to cycle between the Dodge, Burn, and Sponge tools. In the Tool Options, select a brush from the Brush Preset Picker drop-down panel and further adjust the size of the brush tip, if needed. Use large, soft brushes to saturate/desaturate a larger area. Smaller brushes are useful mostly to change the saturation of a specific small object in an image. In the Tool Options, select either Desaturate (reduce saturation) or Saturate (increase saturation) from the Mode drop-down menu. On the Tool Options, select a flow rate with the Flow slider or text box. The flow rate is the speed with which the saturation/desaturation effect builds while you brush. Paint carefully over the areas you want to saturate or desaturate with color. 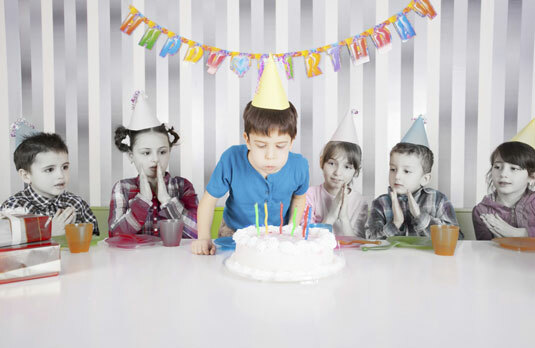 In the figure, the birthday boy is saturated to make him more of a focal point and the other partygoers and the background are desaturated.